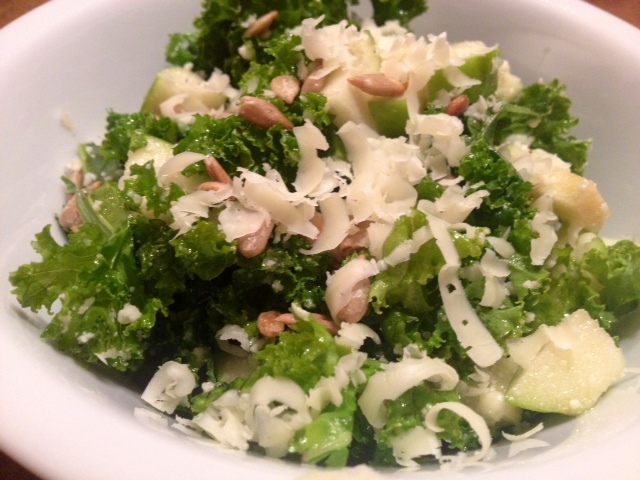 Crisp Apple & Parmesan Kale Salad. 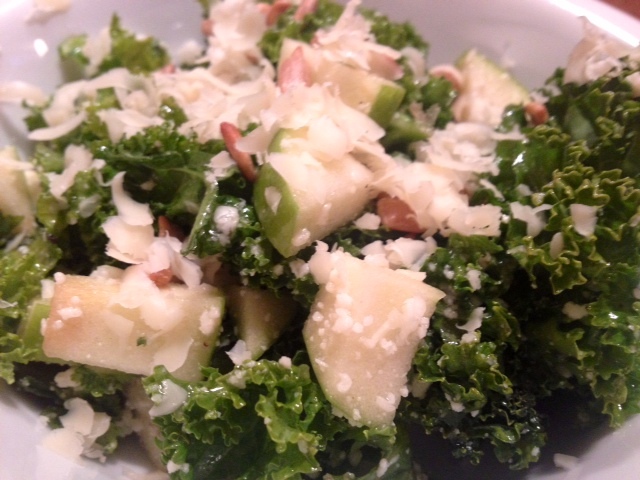 Kale Salad With Green Apples, Parmesan Cheese, Sunflower Seeds & Apple Cider Vinaigrette. I love kale and how versatile it is. It’s great raw or cooked and compliments a wide variety of flavors. This kale salad is a great combination of sweet, salty, tangy and crunchy. It makes a great lunch, dinner or side dish. It takes only minutes to make and it also keeps well if you have leftovers. ← Mustard & Maple Syrup Chicken.